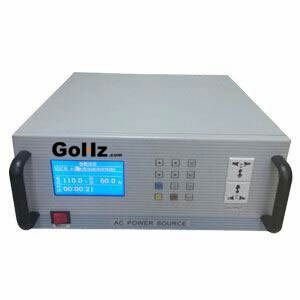 Home » Three Phase Converter » Can I use 380v 50Hz machine on 460v 60Hz power source? There is some information that is missing to make a definitive determination as to the suitability of using a 50 Hz motor on a 60 Hz power system. We need to know the complete motor nameplate data including HP/kW, RPM, Frequency, Voltage, Frame Size and kVA code. We also need to know the voltage and frequency of the supply that you plan to use to power the machine and the starting / operating method to be used with the motor. Last, we need to know the characteristics of the driven load. You indicate that is a cooling pump but is that a centrifugal pump (as I suspect) or is it a positive displacement pump? 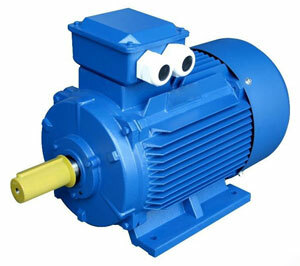 The biggest issue will likely come into play if the load is a centrifugal pump. This is because the Affinity laws for centrifugal fans and pumps state that the brake horsepower required by the pump is proportional to the change in speed cubed. In this case a 20% increase in speed will require 1.73 times more horsepower. I have a question, and will appreciate your answer. I have a led lamp rated 380 v 50 Z, will it support 460v 60 hz.? 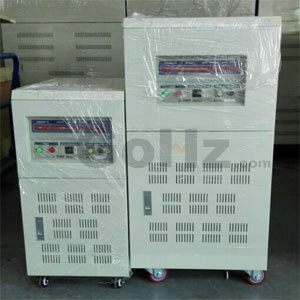 If the power requirement for an equipment will be 380VAC 3PH, 50Hz, at 35 Amps Maximum and All internal fuse protection for the Tester circuits utilize class CC fusing. What do we need to do for it if we had to provide power supply for it from a 480V main supply? 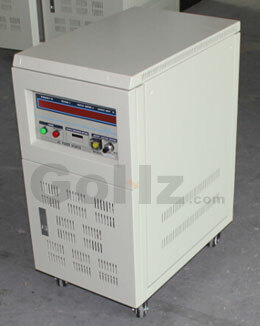 You can use a GoHz Converter to convert 3ph 480v 60Hz to 3ph 380v 50Hz, just go to the contact us page to get a price. hi i have washing machine 50hz 220v 2200watts, but in my place 220v 60hz, what converter i will use?